Looking to hone your skills? Consider participating in a Rescue Challenge competition. There are a wide range of technical rescue competitions hosted by different companies in the United States. Competition is arguably an excellent way for rescue teams to hone and refine skills, and to learn from scenarios that might differ from what they see at home. Rescue competitions have been common for more than twenty years, with the challenge of responding to simulated emergency incidents helping to build teamwork, maintain compliance with OSHA training/practice requirements, and consider types of incidents that might not be common in their own jurisdiction. How many years does this competition exist? What kind of organizations participate? How many teams are competing? Who can register to compete? When/where is the next one? Why do we think you should be there and watch? For more than two decades, Roco has conducted its Annual Rescue Challenge event for rescue teams from across the nation. At Rescue Challenge, teams are put to the test with ever-changing confined space and elevated rescue scenarios designed to simulate actual emergency incidents. While not a competition, trophies are awarded for the best performances in the infamous “Yellow Brick Road” multi-station, rescue-relay event and for individual skills performance. Here you can learn earn from realistic confined space scenarios, gain confidence in rescue skills and teamwork abilities, enjoy excellent training while interacting with rescue pros, share ideas, experiences and techniques with other teams and document your team’s rescue capabilities. For compliance purposes, participating teams will meet the annual practice requirements of OSHA 1910.146 by completing scenarios in all six confined space types. Each scenario is debriefed by evaluators and written documentation is provided to each team upon completion of the event. This renowned rescue challenge was designed in 1995 to test and hone the ability of USAR teams to solve complex rescue problems in a variety of response categories. For more than 25 years as many as 200 firefighters from across the gather annually to put their skills to the test based on national standards. Scenarios might include any number of response types including confined space, rope rescue, cave rescue, industrial accidents, water towers, and more. Using the term “challenge” rather than “competition”, this competitive event offers some of the most realistic and challenging training available at a national level. RQC 2019 will be held May 5-9 in Virginia – this event books up fast! You can LIKE on FB or visit RQC website. This unsurpassed event performs a key role in fostering international cooperation on mine rescue issues and to prevent future tragedy in mine incidents. The International Mines Rescue Competition (IMRC) is a project of the International Mines Rescue Body. This organization came into being after a tragic incident that occurred in Poland in February 1998. During this incident, the lives of 6 mine rescuers were lost. During the ensuing investigation, the Polish State Mining Authority (WUG) and Central Mines Rescue Station (CSRG) learned that MSHA in the USA had been hosting the competition for approximately 100 years. In a united effort to help refine and sharpen the skills of mine rescuers worldwide, these organizations worked together to host the first international mines rescue competition. Today the semi-annual competition draws more than 25 teams from as many as thirteen countries. The next IMRC Competition will be held in the year 2020. To learn more about the international mines rescue body visit IMBR website; for more information on mine rescue competitions in North America, visit MSHA. New for the United States, coming the first year. 10 teams of seven persons each. Excellence in training through dedication, determination, and brotherhood! 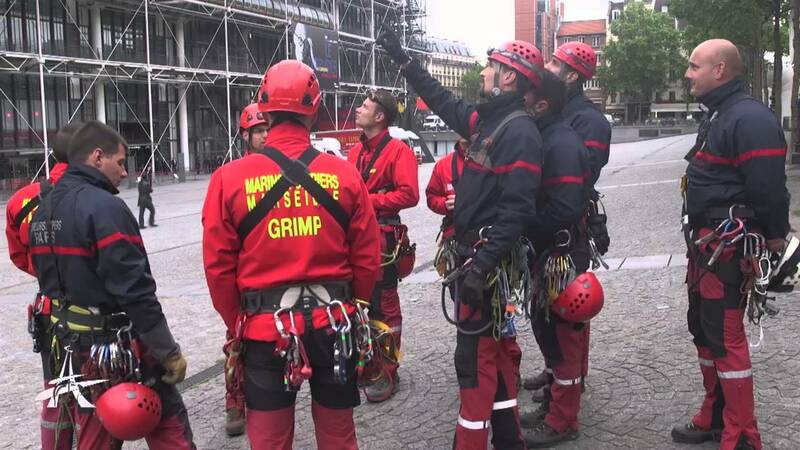 Since 1948, the International Rescue and Emergency Care Association (IRECA) has set the standard for World Class Technical Rescue competitions, with Technical Rescue being just one of the four different events that they feature at their annual conference. This year, 12 teams of seven people each will participate in the 2-day Technical Rescue Challenge, which is comprised of 3-5 different rope-based scenarios. The team is evaluated and scored on technical skills as well as patient as they work through industrial, municipal and rural scenarios including elevated pickoffs, confined space, artificial high directionals, and more. To help ensure that all teams rely primarily on team member capabilities rather than expensive specialty gear, only a very basic complement of equipment is permitted. Skills and knowledge are prized above tools and equipment as teams prove their ability to complete a safe and effective rescue. This is a very thorough event, and includes a separate four-person First Responder competition on June 18 and a BLS competition on the 21st. You can LIKE them on FB or find more information at IRECA website. Technical rope rescuers are united by a unique solidarity that surpasses language barriers, regional differences or other limitations. Wherever rescuers gather, there is generally a passionate dialog over rigging, techniques and philosophies. The more you exercise your knowledge, the more it will develop. If you are a member of a technical rescue team, there’s nothing like a Rescue Challenge to get your blood pumping and expand your creativity. Whether your specialty is confined space, mine rescue, fireground, or just simply rope rescue, consider attending a Rescue Challenge this year.